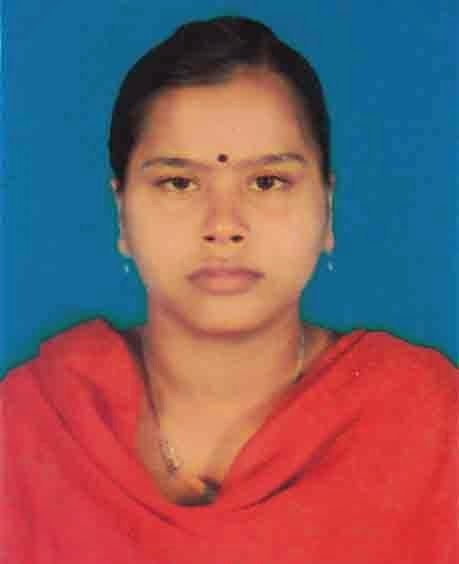 Kona Rani Bepari (18) Hindu adolescent College girl abducted for forceful conversion to Islam on 14.03.2015 from Patharghata - Barguna District. Date of kidnapping : 14.03.2015 at about 10.30 a.m.
2) Mohammad Rassel son of Abdul Rab Member. 3) Mohammad Al-Ameen son of Nurul Hoque Kha and unknown 3- 5 perpetrators. All are residing at Patharghata Upazila of Barguna District. Religion of the Victim : Hindu. Religion of the perpetrators : Muslim. Permanent Address of the victim : Village : Shingra Bunia, p.s. Patharghata, District- Barguna, Bangladesh. 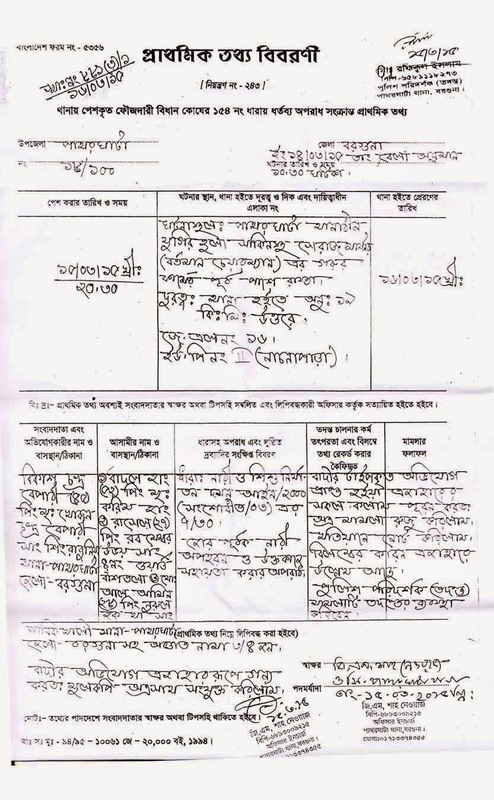 Father and daughter from their home were proceeding towards Lemua College riding on Motor Bike to fill up the forms for Higher Secondary School Certificate Examination of victim on 14th March,15 at about 10.30 all on a sudden other two Motor Bike riders behind the Motor Bike of Bikash Bepari intercepted Motor Bike of Bikash on the road near Jugirhula area (cow firm of Seraj Master of) 19 kilometres away from local police station, dictated Bikash to get down from the Motor vehicle but Bikash refused to get down from the Bike, but three above perpetrators created terror in the mind of Bikash and due to scuffling two perpetrators snatched away his daughter- Kona who cried for rescue from the bike and fled away; other perpetrators started to beat Bikash till he become senseless. Some witnesses came forward but in the meantime those perpetrators with bike decamped and abducted the victim towards unknown destination. After getting senses Bikash went to Patharghata police station and described the ordeal and lodged F.I.R. at Patharghata police station being case No.18 dated 15.03.15 under section 7/30 of Women and Children Repression Act,2003 against three perpetrators and 3 to 4 unknown others. As per appeal filed by father and mother of victim I on behalf of BDMW communicated with Md.Saiful Islam-Superintendent of Police -Barguna District and Md.Shah Newaz- Officer in Charge of Patharghata police station for legal assistance and accordingly our representative from Barisal was requested to investigate the matter and for immediate reuse of the Vitim- Kona Rani . But it is unfortunate that the police was found very much negligent to apprehend the criminals to justice and for recovery of the victim since after 13 days of her kidnapping. I, also talked with mother and father of the victim over his cell number 01725297370 who cried loudly and requested us to rescue t heir beloved daughter - Ms.Kona Rani from the clutches of perpetrators. I again requested the law enforcing agencies of Borguna Administration and urged upon them to rescue the victim girl from the possession of the kidnapers. Md. Shah Newaz- Officer in charge of Patharghata gave me to understand that due to love affairs occurrence took place and he is trying to rescue the victim, but the statements made by Md.Shah Newaz without asking the victim or arresting the perpetrators it was a love affairs ? a} to rescue the victim with utmost sincerity. b) The perpetrators should be arrested soon to put them in custody for trial in the court. c) The officer in charge of Patharghata Police station should be asked to be more impartial in deciding the matter whether it was love or forceful conversion ?